CRM provides you with an incredible opportunity to expand your brand reach and enhance your brand reputation. Your organization should already have some notion of what its brand is or what leadership wants it to be. Perhaps your brand is centered on innovation, trust, or quality. Whatever your brand is, you can use CRM to extend its reach and enhance brand reputation through consistent, data-driven messaging. Whenever someone in your organization sends a message, she represents your brand. Whether you intend it to or not, the most junior customer service representative impacts your brand. Interactions with your most loyal clients affect your brand’s perception as much as those with new clients. Because your brand is a living, breathing reflection of who you are and what you stand for, it’s important to convey your culture to everyone in your organization. If you want to be seen as a professional organization, be sure your entire staff knows what is expected when they communicate via email, chat, or other means with anyone inside or outside the company. Being courteous, being professional, and using proper spelling and grammar are all important values everyone must adopt. Use your CRM to create as many templates as possible, to eliminate the variability in human communication, language, and branding. Of course, where personalized, human-written messages are important, make the space for your employees to write those messages. Remember that your brand is more than just your website and emails. You may have customer service people on chat, sales people following up with leads, or senior level executives networking at events. Everyone needs to know how to act and speak in ways that reinforce the desired brand image, especially when communicating with leads, vendors, or clients. When you follow the principles of Complete CRM, all communication is tracked through it. Managers can monitor whether internal and outbound communication is adhering to your policies, and what impact it’s having on revenue, lead conversion, and client retention. The marketing team usually spearheads a company’s branding initiatives, so you probably don’t need to stress the importance of brand consistency to the people who spend their day broadcasting your brand to the world. However, if changes to the brand come from a source other than marketing, be sure the marketing team gets the memo. In addition, you may need to stress the importance of reflecting the company culture in any communication that marketing has with customers, outside vendors, or anyone else they come in contact with. If they aren’t already, responses to your printed material should be tracked in your CRM. 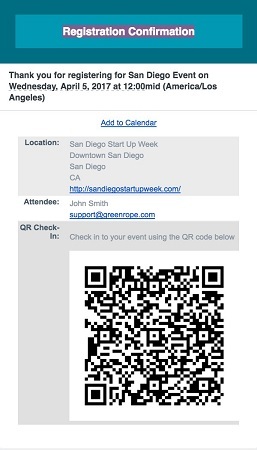 Using a QR code (2D barcode), a special URL, or a discount code, you can see what works and what doesn’t work. It’s a good way to test your communication styles and media to see what resonates. A typical QR code that can send people to a specific website. One powerful tool for print is directing people to personalized URLs (PULRs), custom, database-driven webpages that create special pages for each individual. You can personalize the page with the recipient’s name, or go deeper and put content on that page that you know is relevant to what that person is looking for. Social media is a dangerous tool in the wrong hands, particularly when it comes to your brand. You’ve heard stories of the wrong person (sometimes an intern) tweeting something inappropriate for a large brand. You want to avoid pitfalls made by other people and put policies and controls in place. Make sure anyone who has the power to post on your social media is trustworthy and conscious of your brand. Assign each user a separate ID and password, and be careful when assigning user privileges. Have a process in place to screen and approve posts for quality, grammar, and spelling before they go live. Anything posted on social media is there forever, and you want to keep your brand as consistent as possible. Have your team build a content calendar, so everyone knows who is posting what and when.